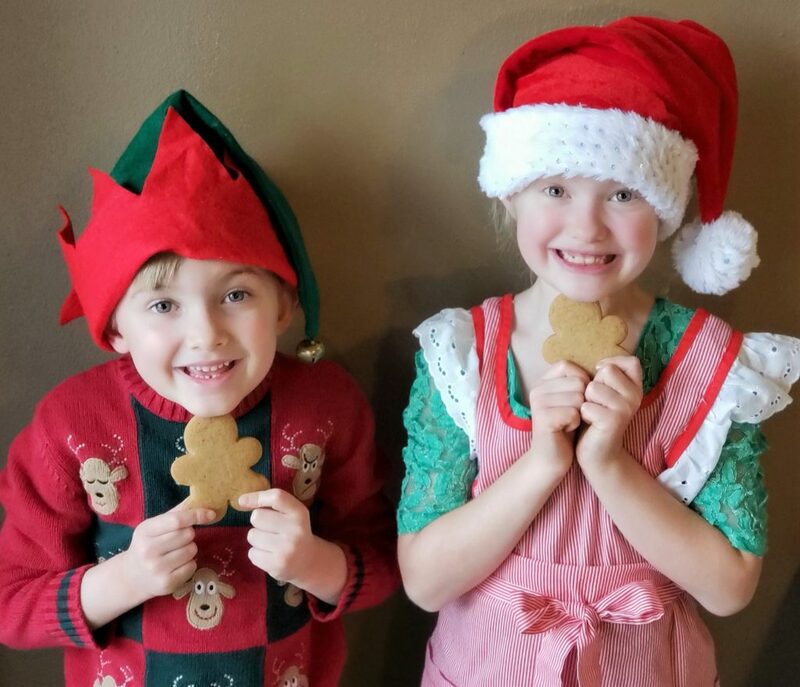 These little Christmas elves helped me bake some traditional Pepparkakor (Swedish Gingersnaps)! 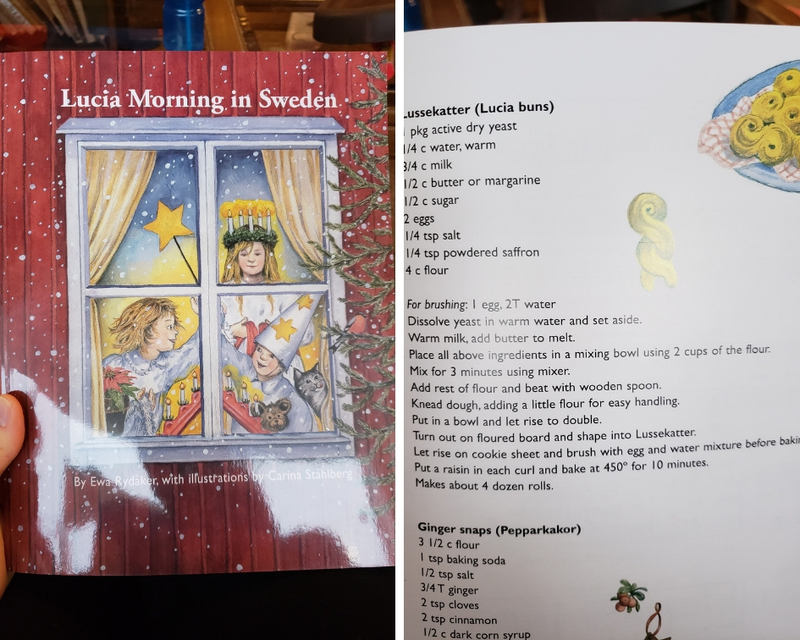 First of all, we followed the recipe in Lucia Morning in Sweden. 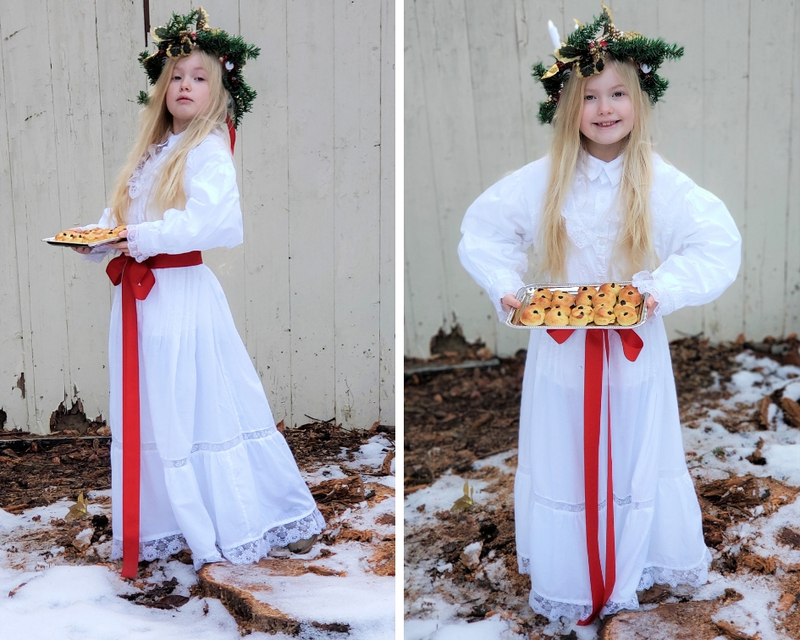 This book is an all-around great introduction to Scandinavian Christmas customs for children! *Disclaimer* I am an Amazon Services LLC Associates Program member. Any purchases made through my Amazon links will earn me a small commission. I am careful to only promote products that I personally use and love! 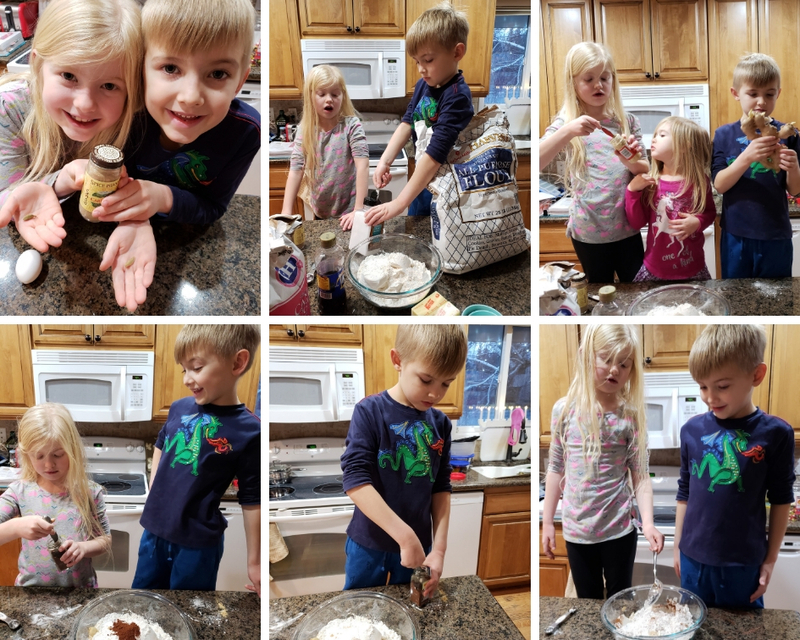 Honestly, the best part of making the Pepparkakor dough was teaching the kids about spices. “You mean cinnamon comes from bark?” Their minds were blown! I like to cook Indian and Asian dishes, so I already had whole cardamom pods and ginger root in our pantry to show them. The only thing missing from the recipe was cardamom. This delicious, lemony-smelling spice is found in most Pepparkakor recipes I have made in the past. So, we added one teaspoon to this recipe. Yum! 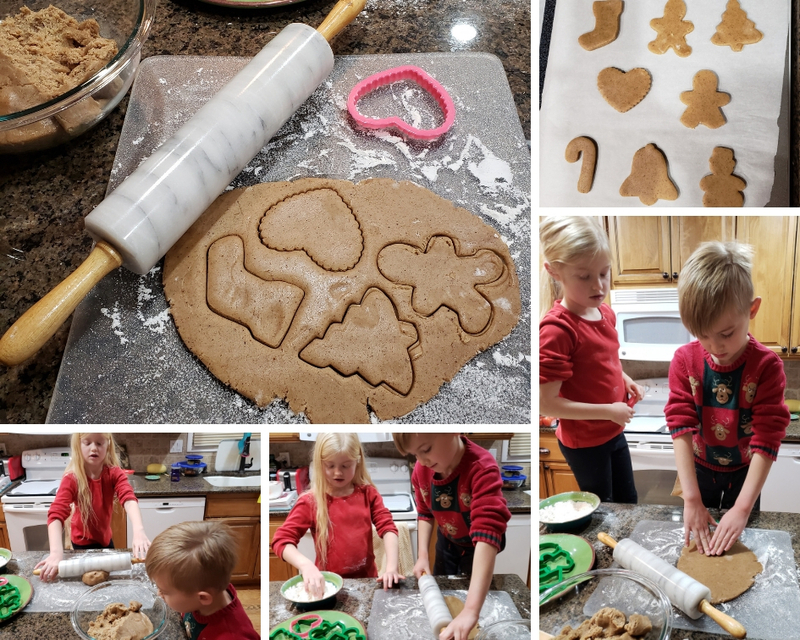 What cookie shapes should we make? This decision is the only hard part about making Pepparkakor! 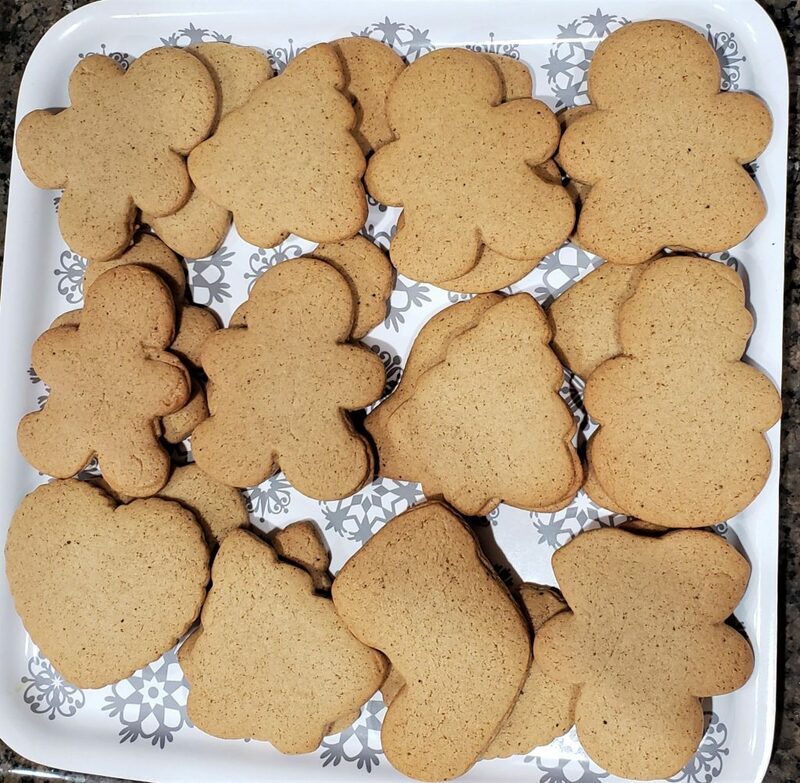 Here are the finished cookies! They are slightly soft when they are first baked. After a couple days, they harden to a crispier texture. Both are delicious! 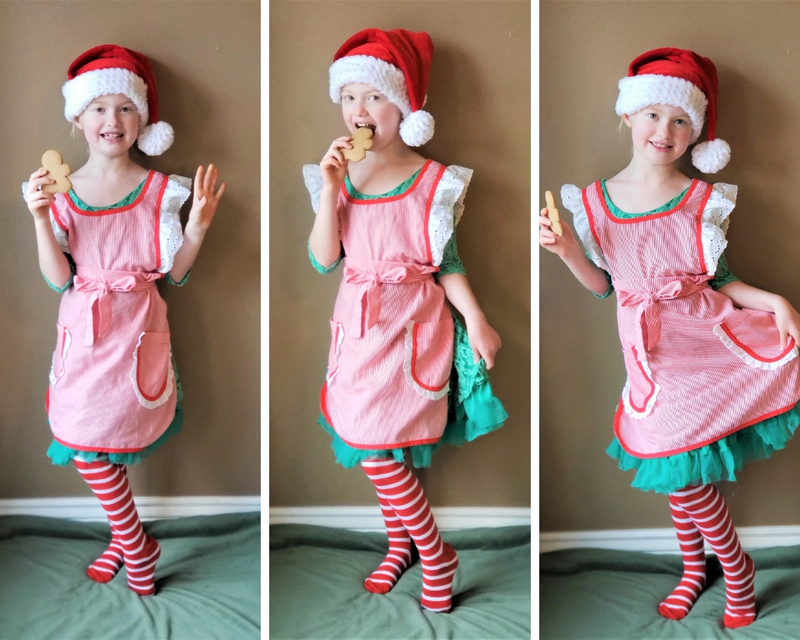 So, where do costumes come into making Pepparkakor? 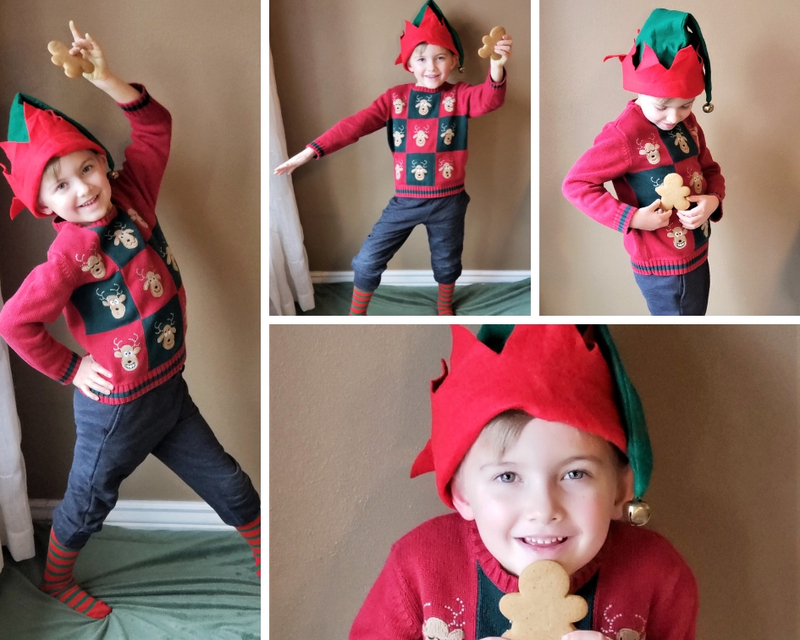 I mean, this is a costuming blog! 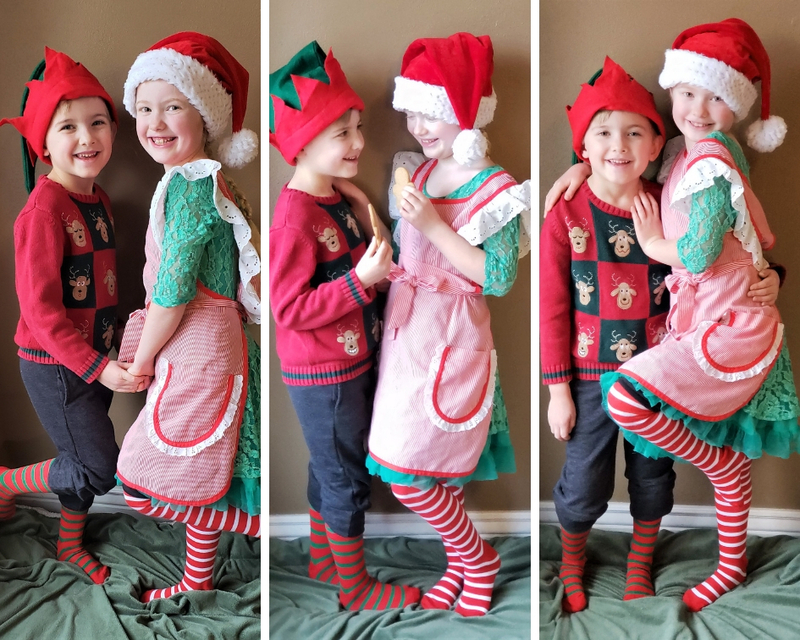 Well, Emma and Elliott needed Christmas outfits for a themed night at our church’s AWANA club. 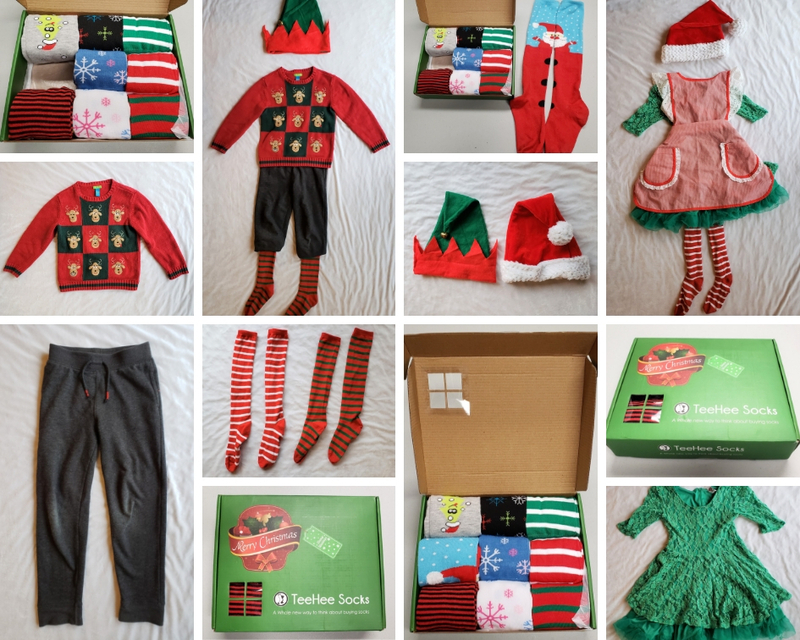 I had already bought this adorable box of TeeHee Holiday Knee Socks for my costume in The Nutcracker. I knew we could use the silly socks for lots of other occasions, too. Check out the adorable packaging! This would make the perfect gift for someone. I think taking dance helps them come up with such fun poses! Well, Merry Christmas, dear readers! I hope you have a wonderful day celebrating with your family and friends. Thank you for joining me on this blogging journey. I can’t wait to make more costuming magic with you in the new year! 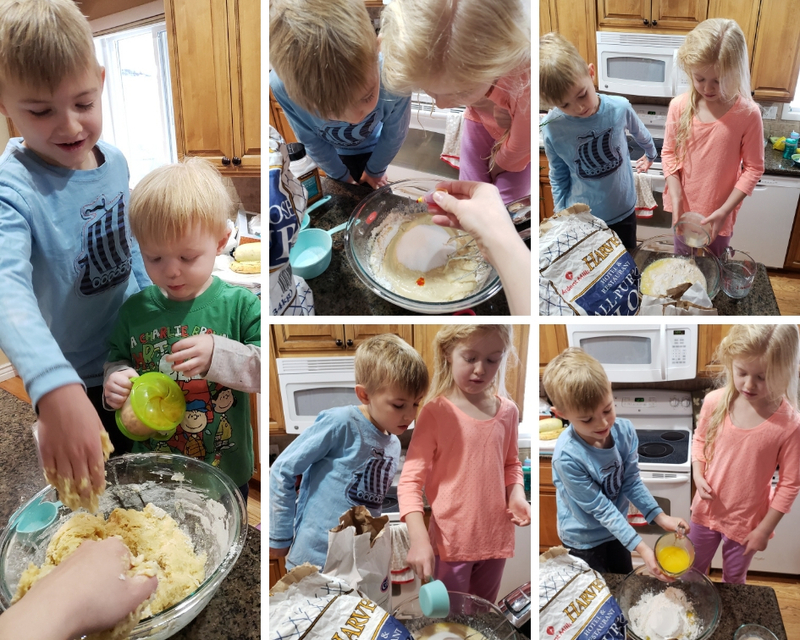 If your kids are like mine, it’s all about the treats! 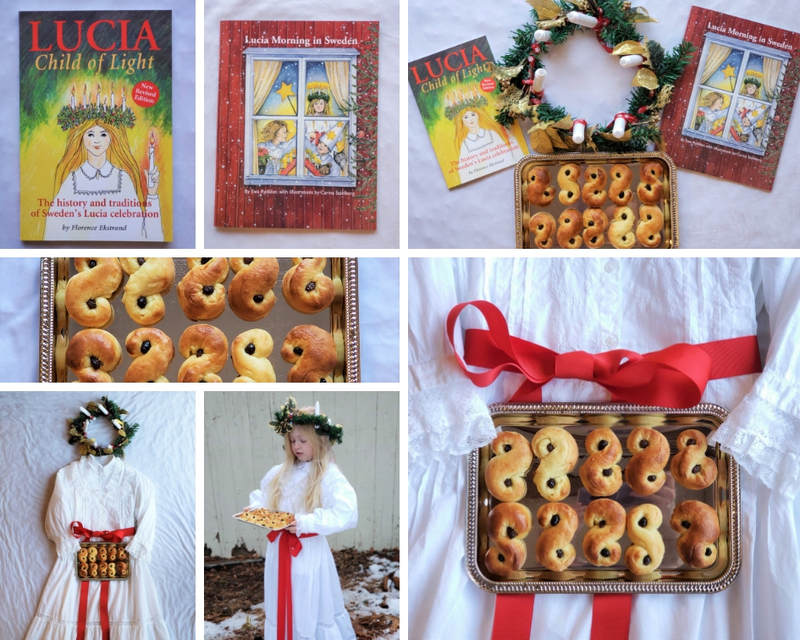 We had so much fun making these sweet Lussekatter (Lucia Rolls). It was basically a sensory romp for them; like playing with Play-Doh…Only they could eat their creations, afterward! What’s not to love? 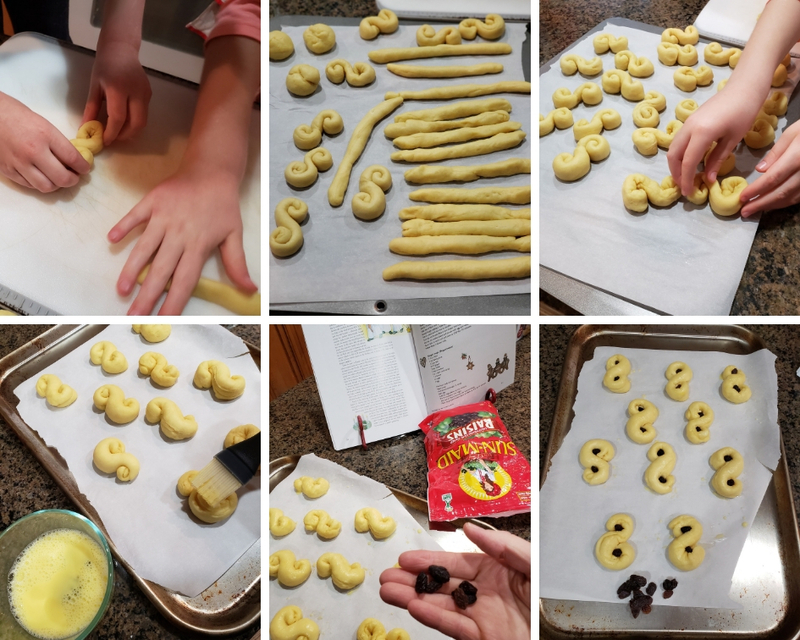 Our Lussekatter were made following the recipe in Lucia Morning in Sweden. This delightfully illustrated book gave our kids a great intro into how Saint Lucia is currently celebrated in Sweden. *Disclaimer* I am an Amazon Services LLC Associates Program member. Any purchases made through my Amazon links will earn me a small commission. I am careful to only promote products that I personally use and love! 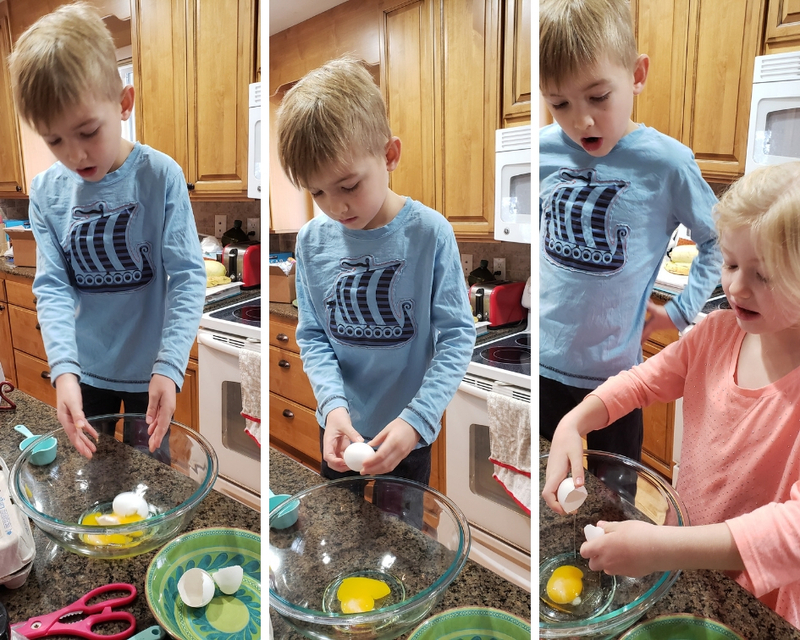 Cracking eggs is always an adventure with these two! I followed the recipe to the letter except for one ingredient: The saffron. It was $25 a bottle at our grocery store. In fact, saffron is the most expensive spice in the world. It is more costly, per ounce, than gold! Forking out that kind of dough for our first attempt at this dough seemed like risky business! What did I use in lieu of saffron to give the rolls their signature, golden color? Six drops of yellow food coloring! Yes, this was a major cheat. Our rolls were also missing the flavor of saffron, as a result. Maybe we’ll go for the real thing, next year, since our kids liked the rolls. Things took a dramatic turn when Elliott struggled to scoop enough flour. 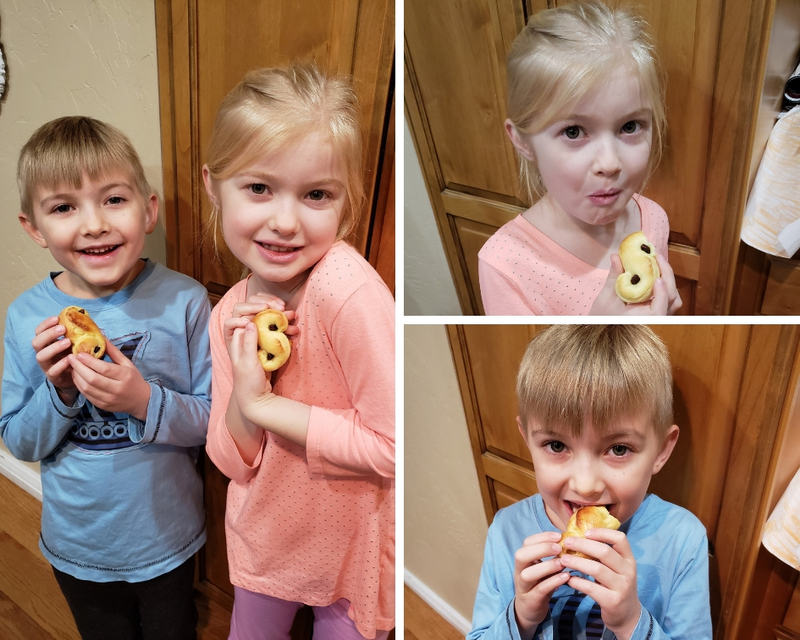 Rolling the dough was Emma and Elliott’s favorite part of making the Lussekatter. Lussekatter basically translates as “Lucia’s Cats”, due to the curling shape of the rolls. They resemble curling cat tails. We brushed the rolls with an egg and water mixture and placed a raisin in the heart of each curl. Ta-da! 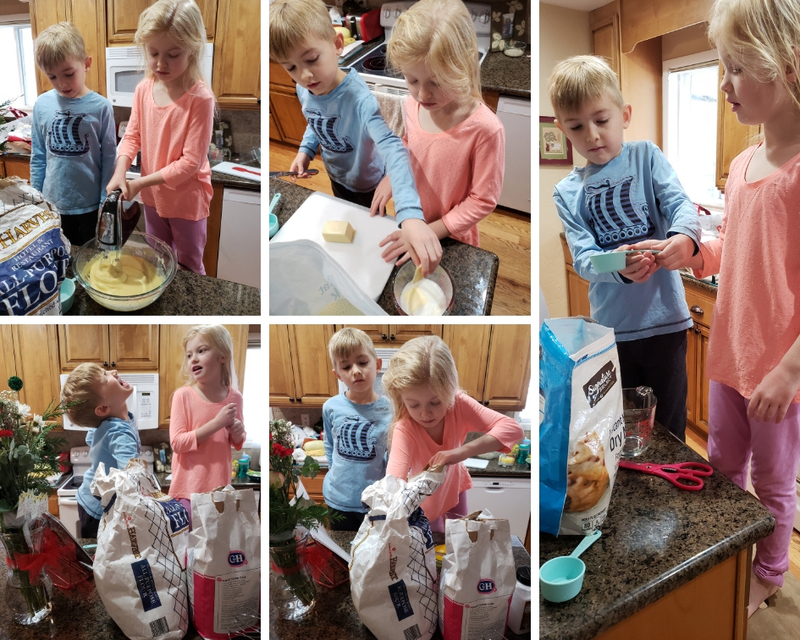 Emma and Elliott could hardly wait to try their creations. 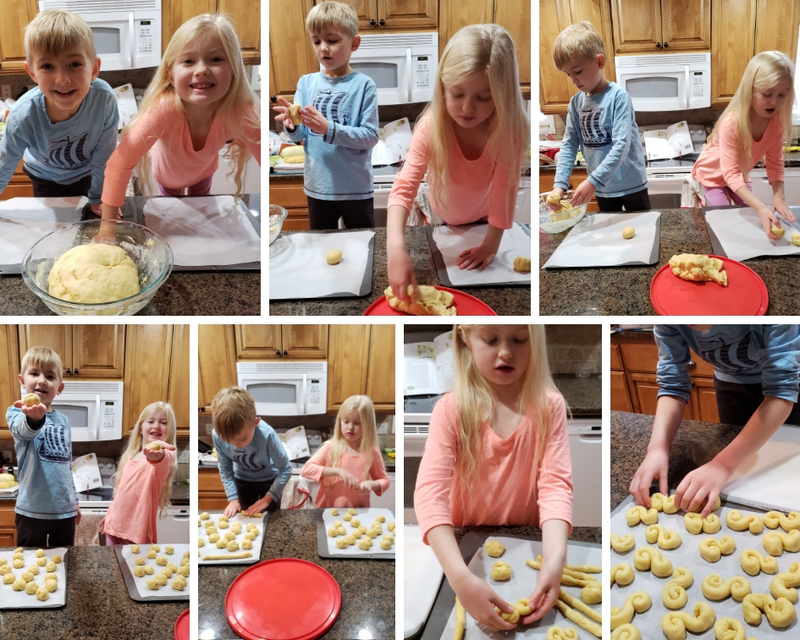 They were so excited to share these rolls with their Nana and Papa, their siblings, and their teachers. And, that’s part of what the celebration of Saint Lucia is about. It’s about service and bringing light and physical comfort to those around us. That includes treats!